As we started down the path from the modest “visitor’s center” we saw three people pointing and looking towards a tall tree in the distance. We approached and asked what was being looked at. 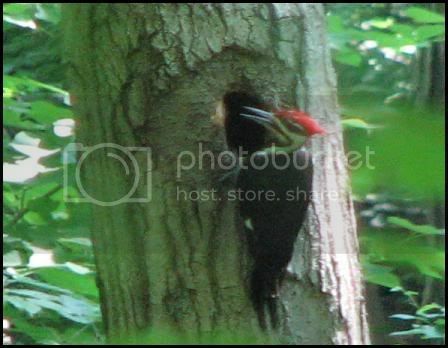 “some woodpecker.” It turned out to not just be “some” woodpecker but the Pileated Woodpecker! 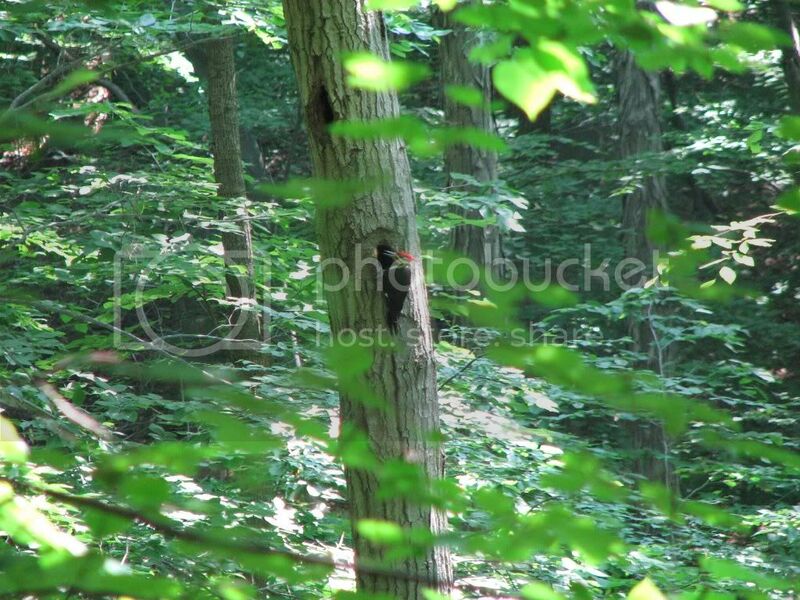 The Pileated Woodpecker is the biggest Woodpecker in North America and one we had very much wanted to see! We shared the bird with a happy group of casual birders. Casual “hikers” would probably be a better description. 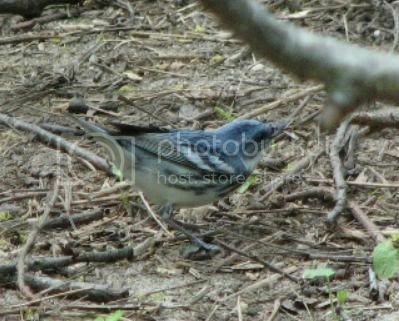 Anyways, a great bird for us (number 145 for me :)) and some good pictures from Jeanette. 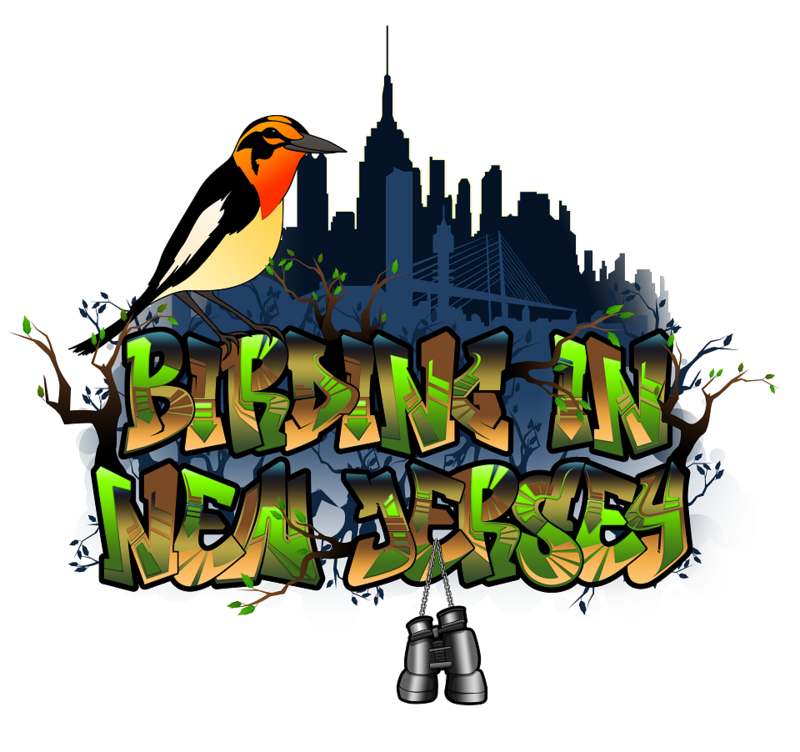 This morning Jeanette saw a Lawrence’s Warbler (a hybrid offspring of a Golden-winged Warbler and a Blue-winged Warbler) in among a plethora of Blue-winged Warblers (This bird had been previously reported in the NJRBA). 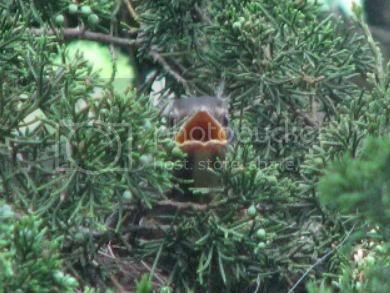 He was making cozy with a “plain” blue-winged and close by was a baby warbler (baby Lawrence’s perhaps?) A few good identifying shots were taken. Great Bird! This morning we headed out to Old Mine Road near the Delaware Water Gap. Without a lot of pre-game planning we put our hopes in some recent sightings in the area and a site description from the NJAS. 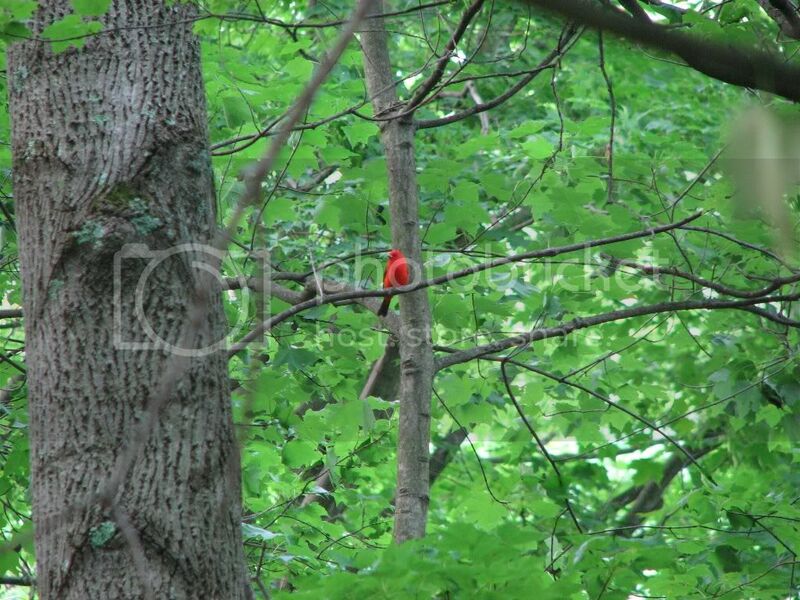 As newer birders there were a couple things we noticed. The 3 minute light is rough and a little scary and there is no visitor center in the area. Once we got going there were a lot of singers. 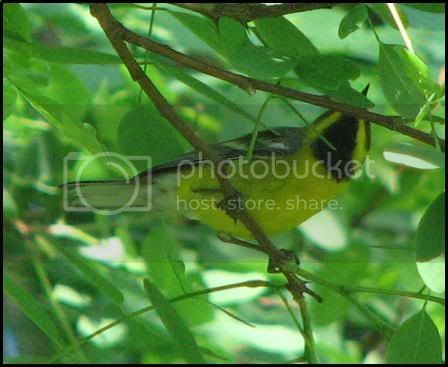 Yellow Warblers, American Redstarts, and others (possibly Northern Parula or Black-throated Blue Warblers?) 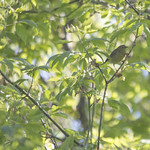 were all heard driving but the Yellows, Redstarts and 2 Worm-eating Warblers were the only seen Warblers. Great-crested Flycatcher and Acadian Flycatcher (Our first) were seen along with Eastern Kingbird. 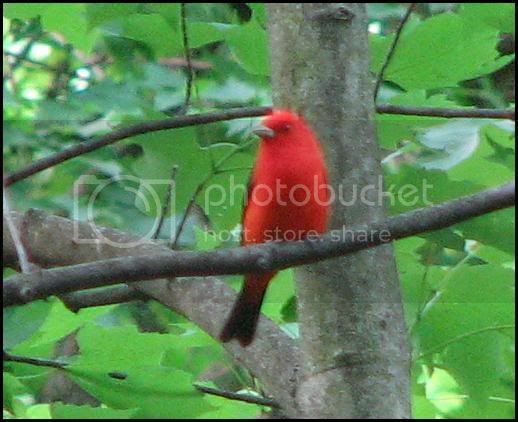 A singing Indigo Bunting and male Scarlet Tanager made up the most vivid spotting. 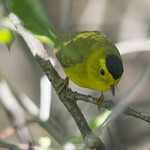 We had hoped to see the elusive (from us anyways) Hooded Warbler without success. 🙁 Anyways, overall a nice day of birding for early June. An unbelievable day. 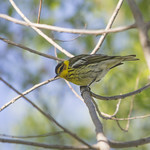 The World Series of Birding was going on and we had a morning filled with unbelievable winged visitors. 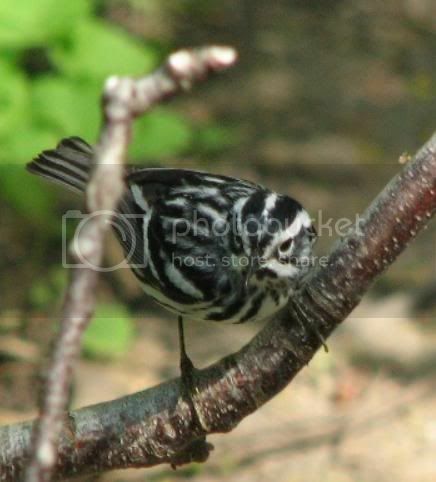 Multiple Cerulean Warblers seen and heard! Our first day in Cape May. Beautiful Indigo Bunting, Blue Grosbeak and Yellow-breasted Chat were a humble beginning to a truly special weekend of birding. Right around the corner is an open drainage area surrounded by trees, bushes and a considerable pond. While the selection of birds may be some what limited, the convenience and accessibility make it a great place to make a quick stop off on the way home from work. 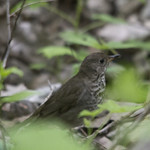 Jeanette and I wandered in on our first Spring as “birders” and saw our first Yellow-rumped Warbler(s), an energetic Brown Thrasher, a tan-striped White-throated Sparrow and a composed, resting Turkey Vulture. 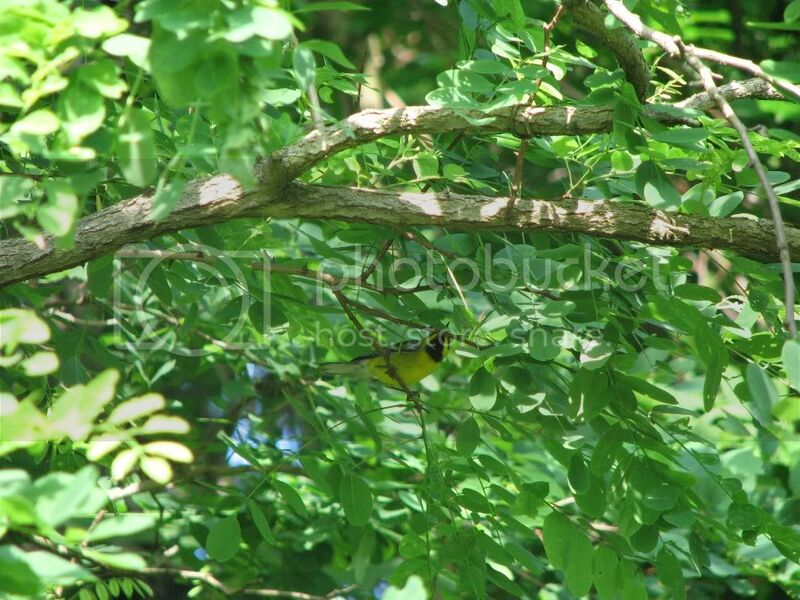 Yellow Warblers (Jeanette’s first) were also seen.